The film is the remarkable love story inspired by the lives of Lili Elbe and Gerda Wegener, portrayed respectively by Academy Award winner Eddie Redmayne (“The Theory of Everything”) and Alicia Vikander, directed by Academy Award winner Tom Hooper (“The King’s Speech,” “Les Misérables”). 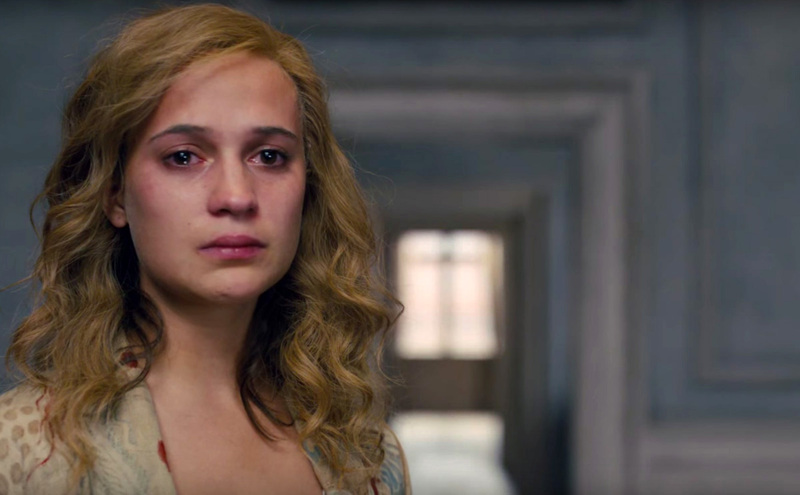 Vikander walked the fine line between the real Gerda and the version of Gerda in the novel on which the movie is based. “Both myself and Eddie — and everyone involved — really took on a good job trying to adapt the book,” assures the actress. “But then to be able to go back and actually dig in, to try to find as much information about these two people, that was the real treasure for us. I love the art and all the photographs that we found. It was a direct axis to see those very ahead-of-their-time women that both Lili and Gerda were. Vikander continues, “We got an enormous help from wonderfully generous people from the transgender community. Maybe more from me playing Gerda, I was introduced to people who wanted to open up with their personal stories and experiences from friends or loved ones or family members or someone who has gone through this. That was very much an eye-opener for me. Even though all those stories are all very different journeys and experiences, I felt like they all wanted to share with me that feeling of — like Gerda — wanting to be support for the person that you love more than anything. They were happy to see that Gerda was involved in this film and this story because sometimes it's tough — people forgot that they were in a transition as much as their loved one. “The Danish Girl” is vying for four Academy Awards, namely Best Actor (Redmayne), Best Supporting Actress, Best Production Design and Best Costume Design. To be shown exclusively at Ayala Malls Cinemas (Glorietta 4, TriNoma, Market Market & Fairview Terraces) starting Feb. 03, “The Danish Girl” is distributed in the Philippines by United International Pictures through Columbia Pictures.